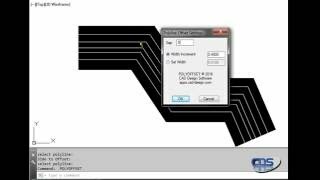 Polyoffset from CAD Design Software is the only app you will need to offset your polyline. It easily creates offset polylines using either the existing or a user specified width. The offset distance is user specified. Add this powerful tool to your arsenal of Autodesk® AutoCAD® apps today.